Hunter Brothers Farm has created yet another “out of this world” corn maze. This year, our 6-acre labyrinth pays homage to three spatial anniversaries: the 20th anniversary of the International Space Station, the 50th anniversary of the debut of Stanley Kubrick’s epic sci-fi film 2001: A Space Odyssey, and the 60th anniversary of the Avro Arrow’s first flight. Usually we have little problem deciding on which special event to honour, but 2018 proved to be challenging as all these commemorations fell on the same year. To resolve the problem, we chose to represent all three in their maze design with an encompassing theme of “Lost in Space”. The maze opens on September 8, 2018. Once we decide on the theme, we have a graphic designer draws up some concept sketches and lays out the maze paths. Once we are happy with the image our survey engineer plots GPS coordinates for the design on his computer. The 6-acre field is prepared and planted in a crisscross pattern to fill out the canopy. 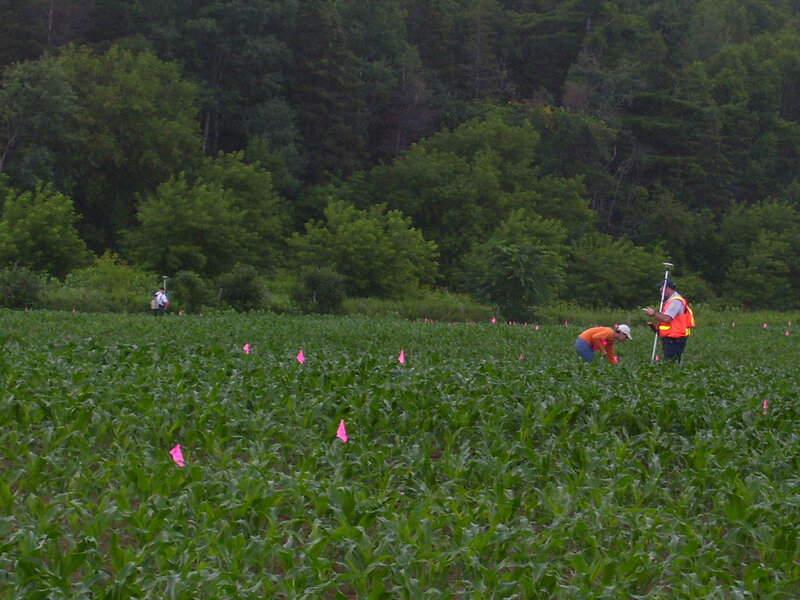 The surveyors then come in and lay out the design in the field using GPS and flags. The Hunter crew, equipped with a small sprayer, goes in and removes the corn which needs to be "erased" to make the paths. After several days of work making the trails we use a small drone to inspect the maze and fix any small mistakes. The maze is made up of many large paths. The objective is to find and answer all the trivia questions related to our theme that are hidden throughout the maze while navigating your way to the exit.